We should expect scattered to numerous thunderstorms across interior areas while isolated to scattered thunderstorms may affect coastal areas. 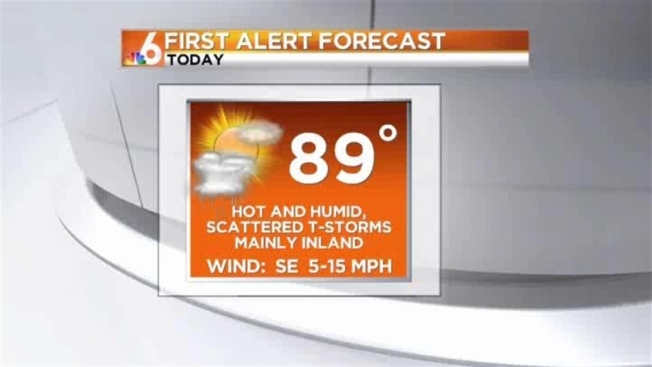 It should be another warm and humid day with highs in the lower 90s. We will have a hazy start to the work week with lower rain chances but should not rule out the chance of isolated thunderstorms each day, especially during the afternoon hours. Highs each afternoon will reach into the upper 80s and lower 90s.